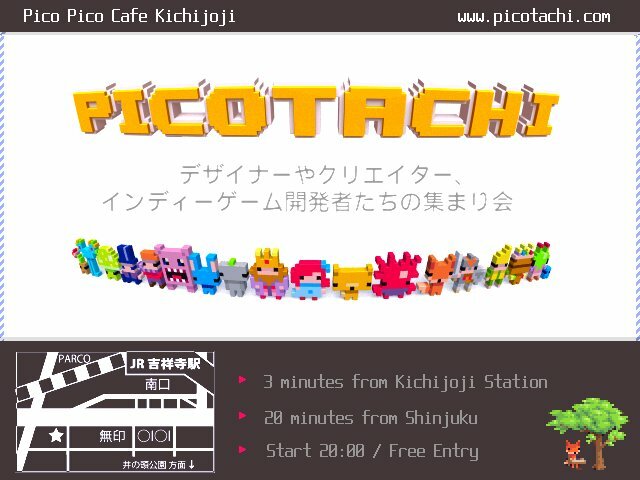 “Picotachi” is a place to make casual presentations for any kind of creators. Mainly game developers get together, but we are welcome any genre of creators. We are aiming for making a community that people who love to make things come around, whatever their occupation is. Even though it is your first time to come to our cafe, we are very happy to have you!